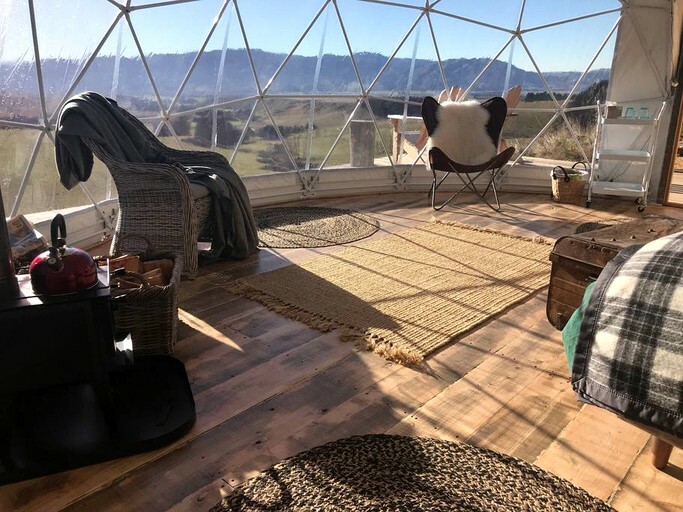 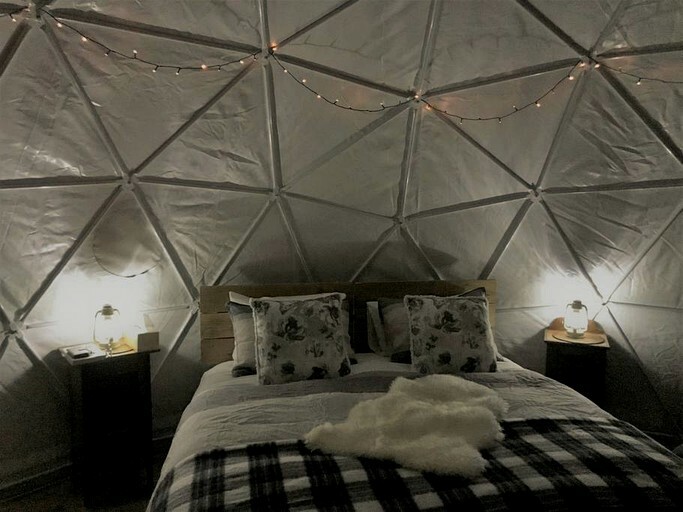 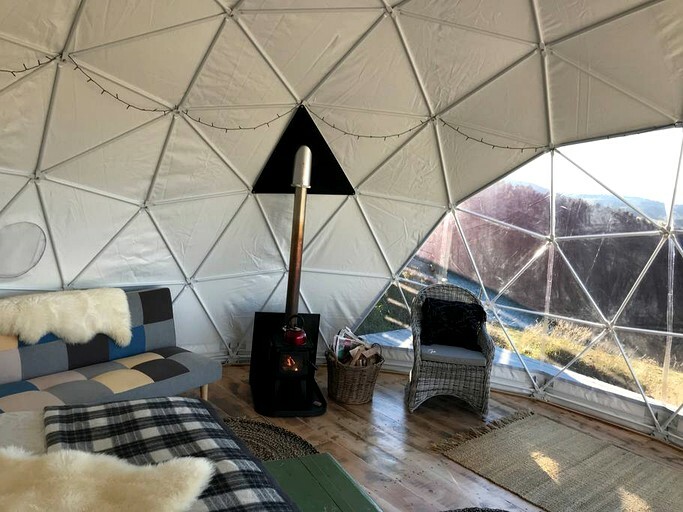 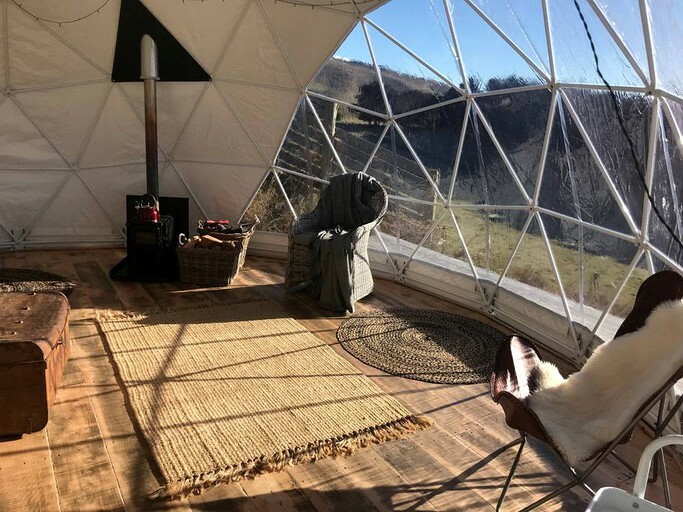 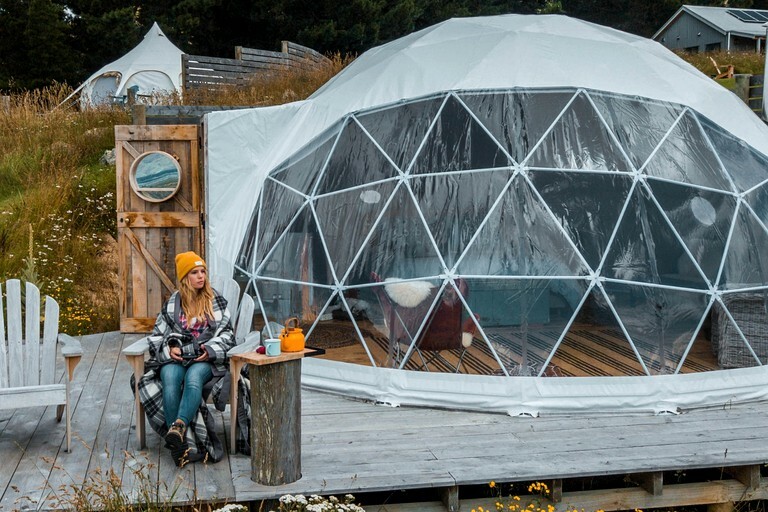 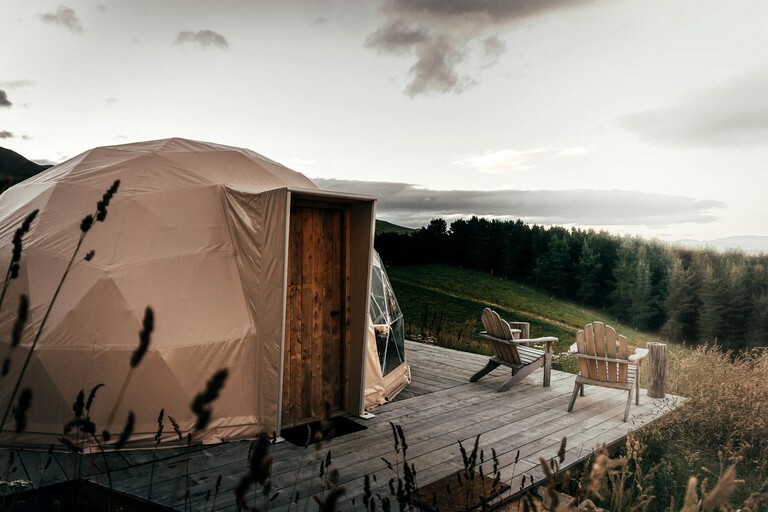 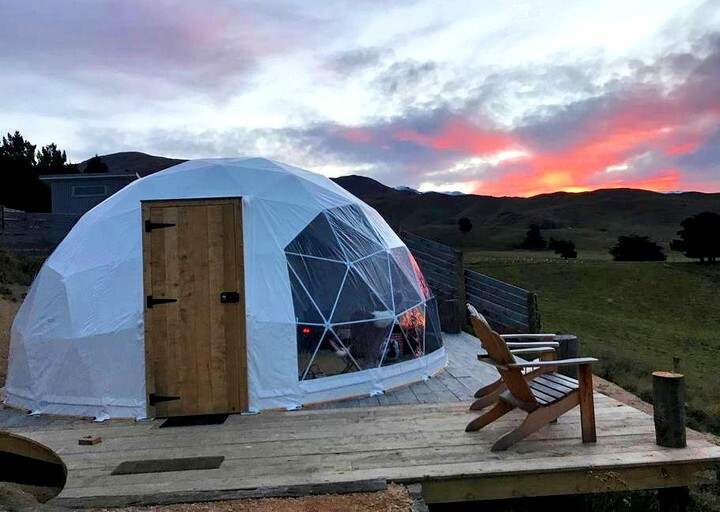 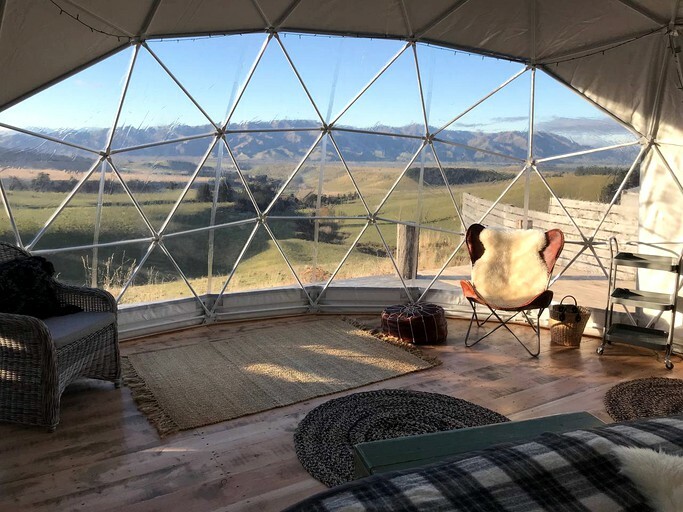 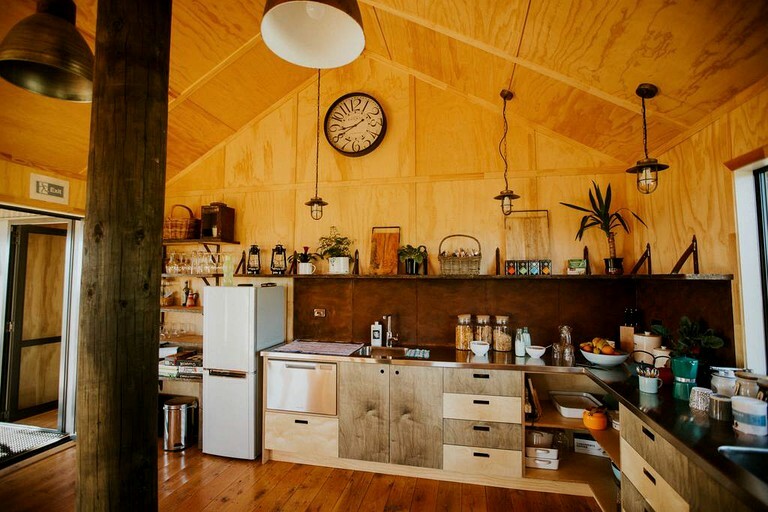 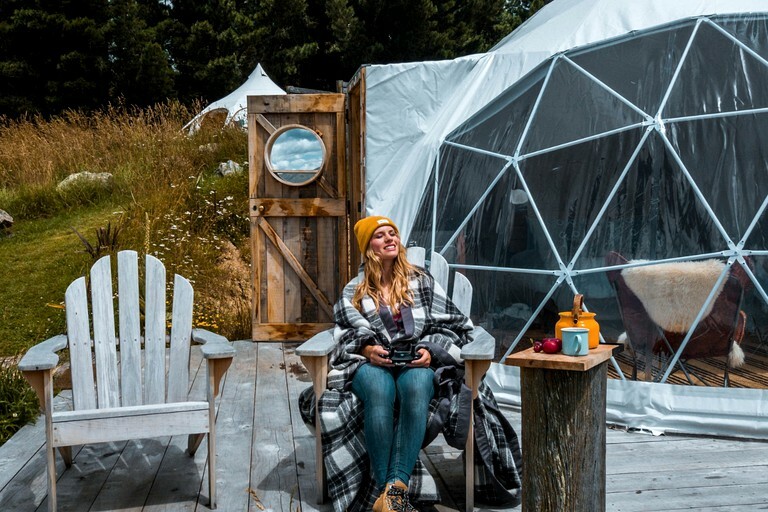 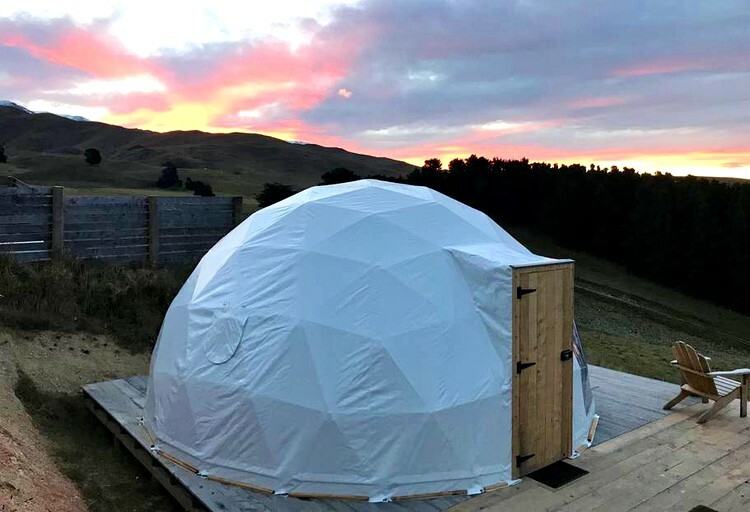 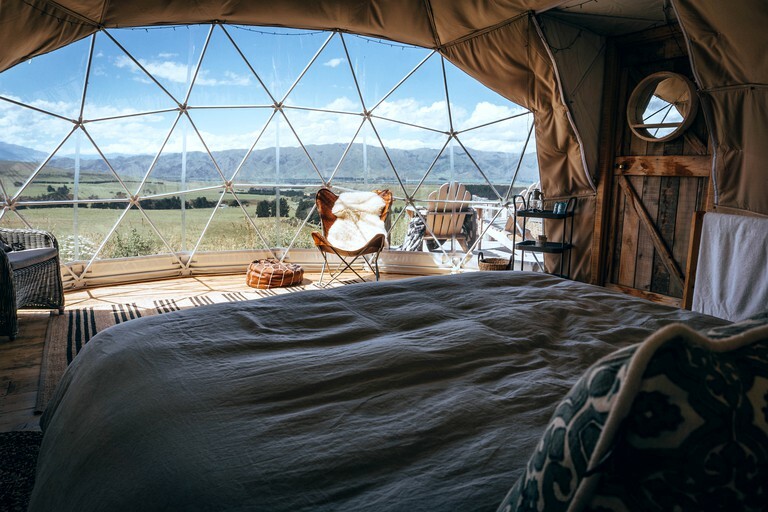 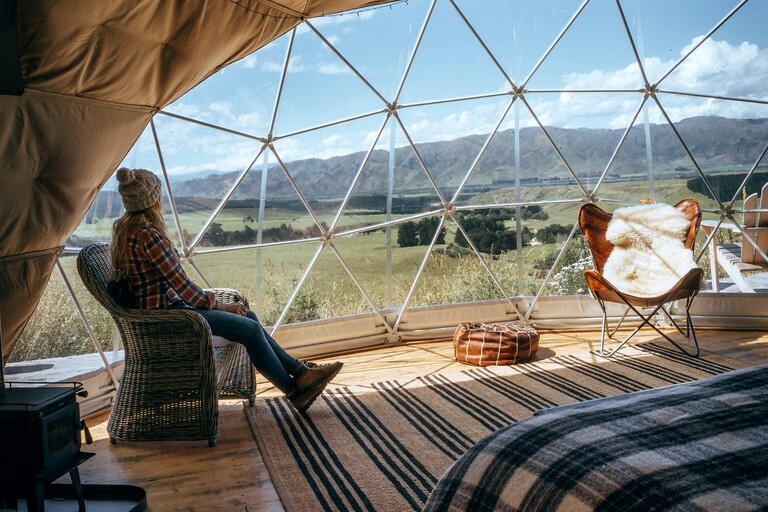 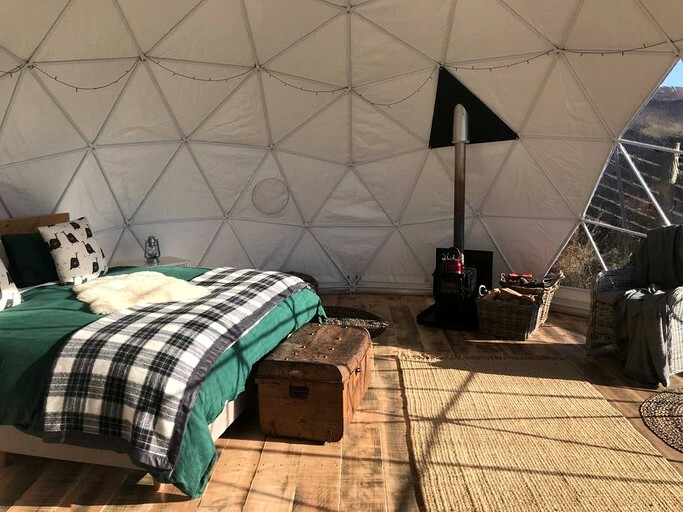 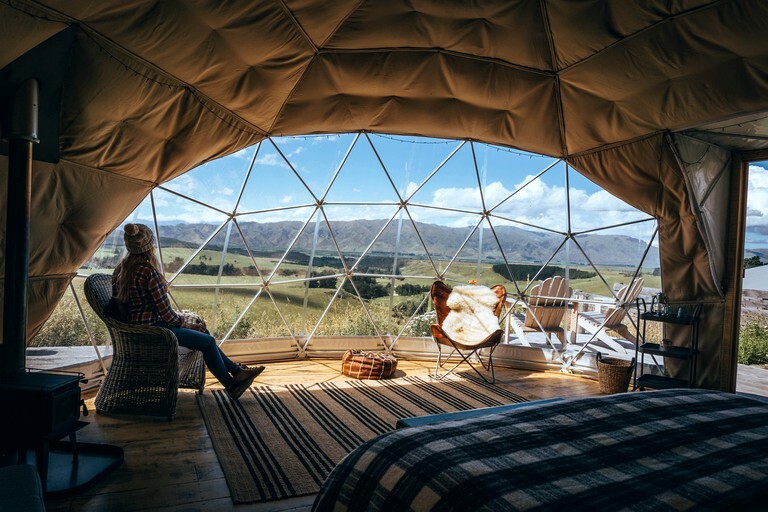 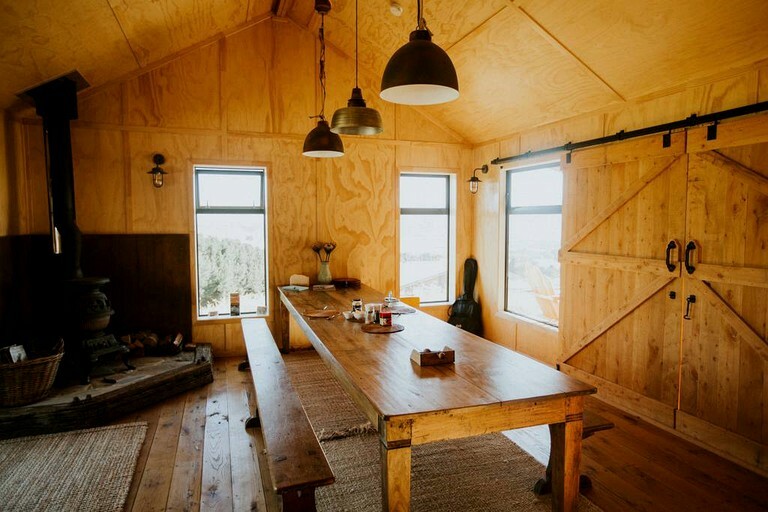 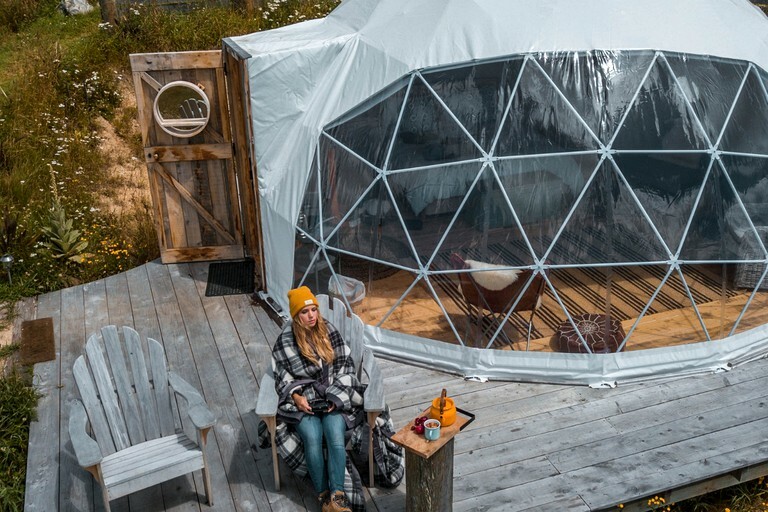 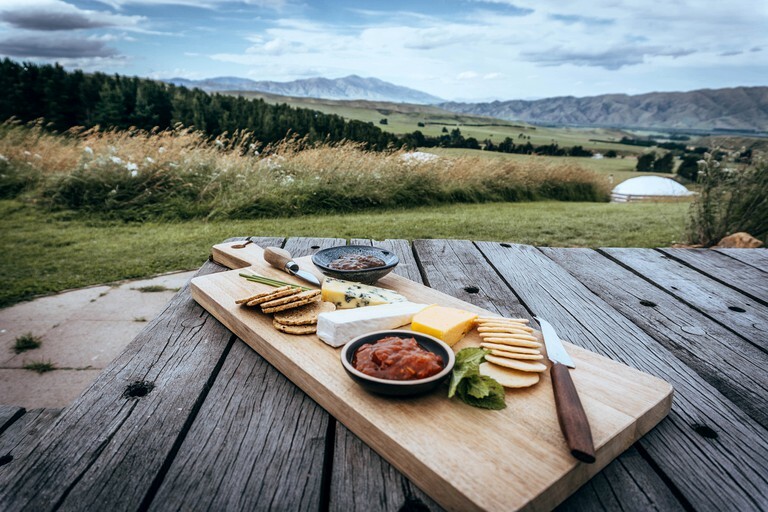 This fantastic dome rental is ideal for up to four guests to enjoy an unforgettable glamping holiday in Otago, South Island. 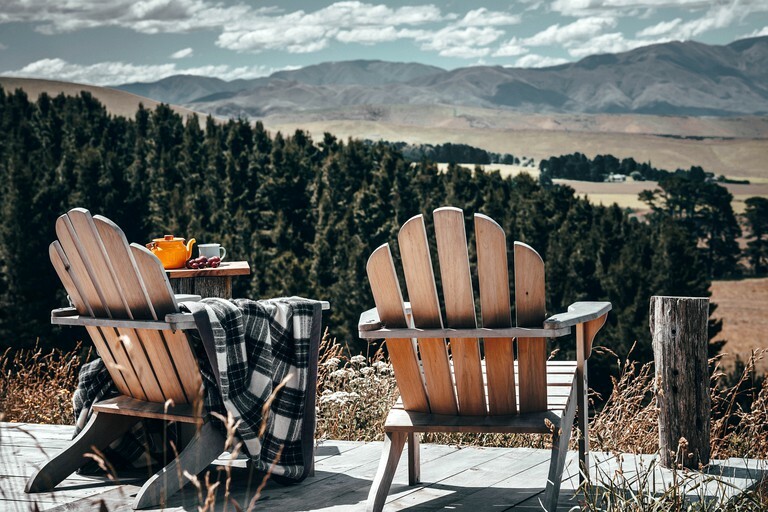 Idyllically situated on a working beef cattle farm, guests will love the expansive views of the valleys, hills, and beautiful mountains. 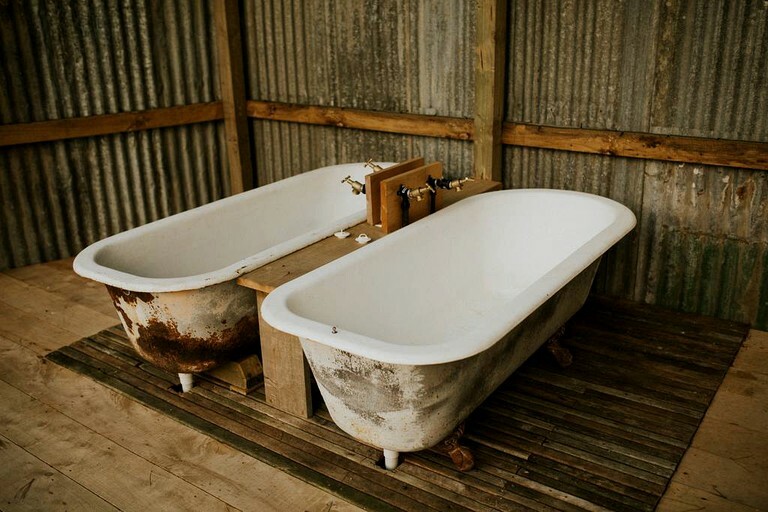 The retreat comes with a plush king-size bed, with the option to split it into two twin beds should guests require it. 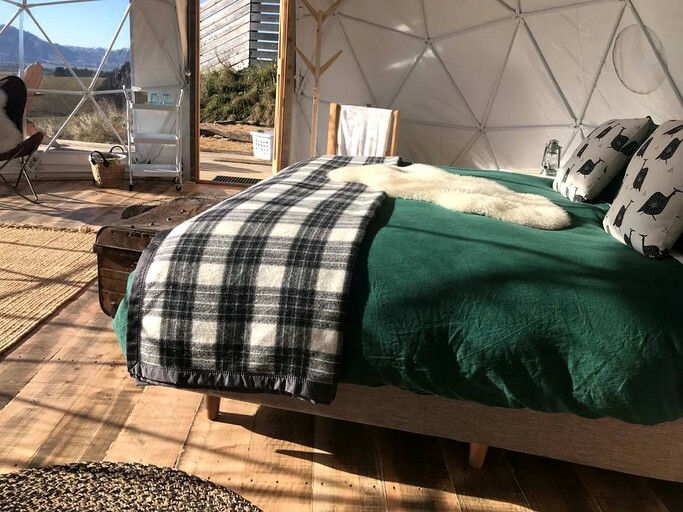 The super comfortable beds all come with down mattress toppers, down duvets, linens, duvet covers, and pure woolen blankets. 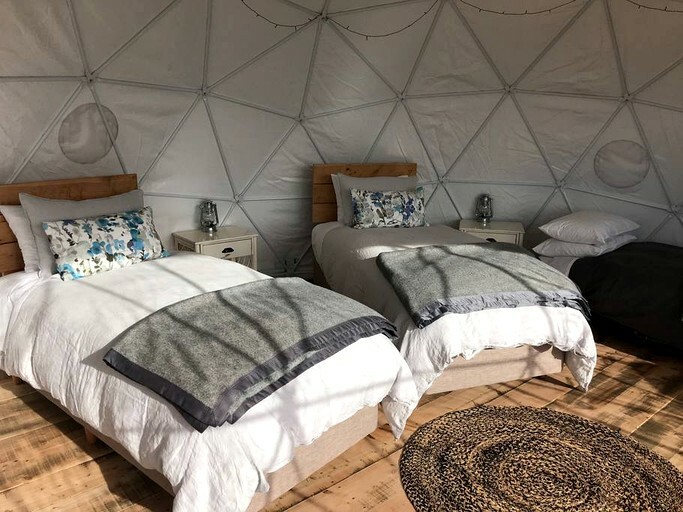 A floor mattress is available for extra guests. 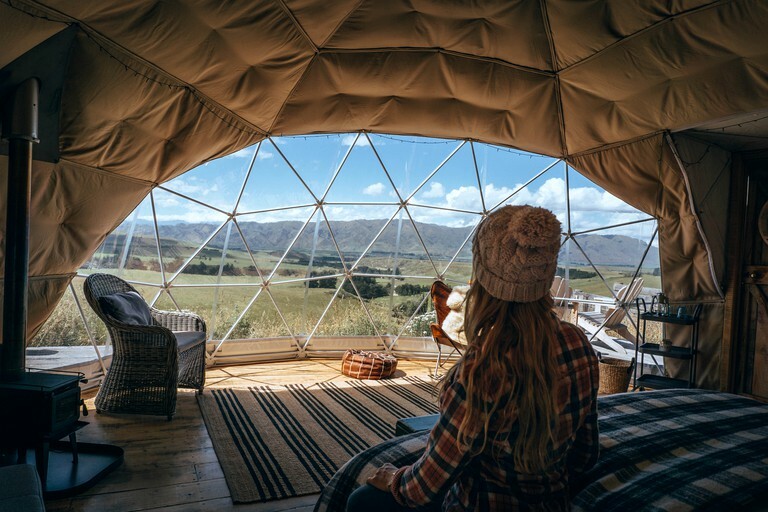 Glampers will love the vast views afforded by the dome's unique structure and the luxurious seating makes the ideal place to soak up the majesty of New Zealand's stunning scenery. 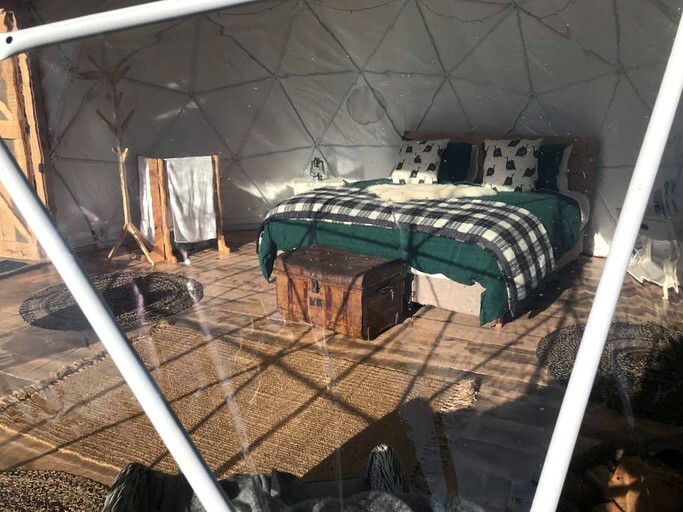 Other useful additions include lamps and fairy lights, side tables, portable cell phone chargers, and ensuite portable toilets. 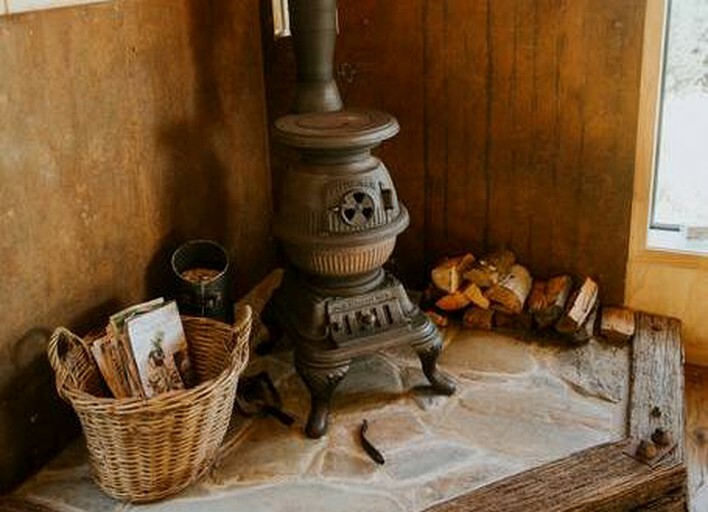 There are also a number of handy amenities for guests to use located in the main lodge. 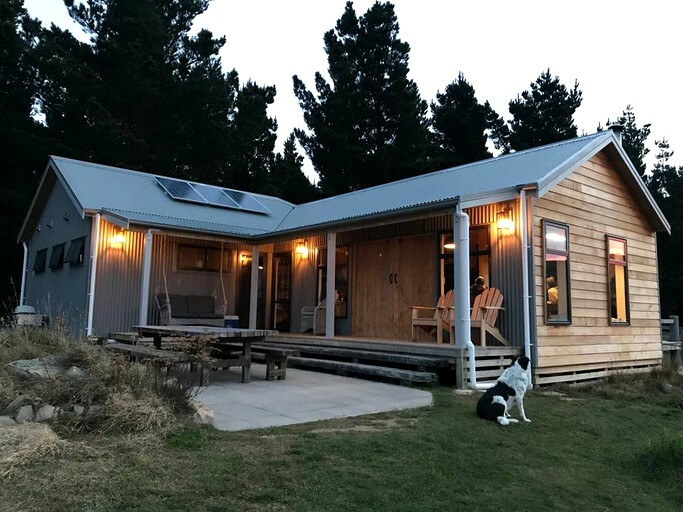 Some of these include shared kitchen, dining, and bathroom facilities, as well as a BBQ, a large pot-belly stove, outdoor dining areas, and a fire pit.